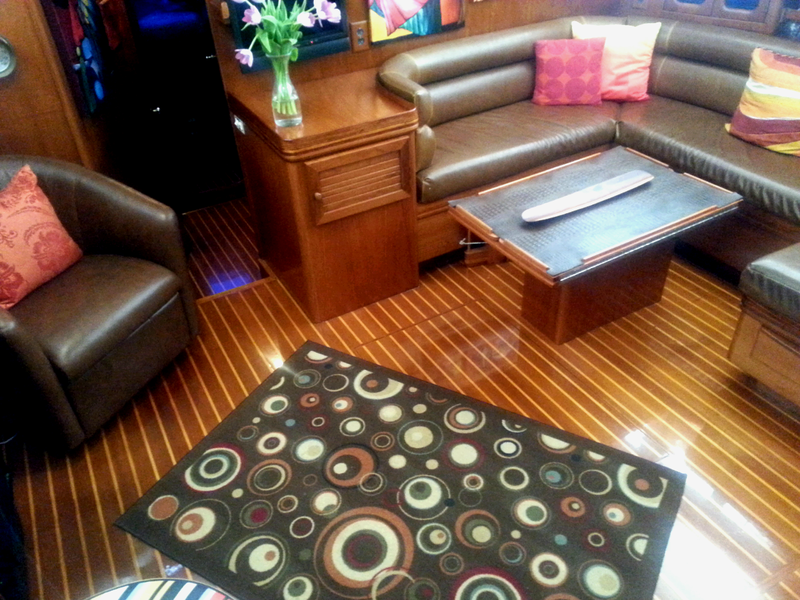 When we purchased Sea Gem, she came equipped with two La-Z-Boy recliners. Although the particular recliners we had were modest in size compared to the bloated contraptions that are most La-Z-Boys, they still took up a significant amount of our precious floor space. We have slightly less seating, but it is well worth it--the room feels at least three times larger than before. Hopefully having a little more elbow room will prevent us from killing one another come December. If not, at least the surviving, murderous spouse will have a comfy seat to sit upon while contemplating their alibi.